It was founded by Sister Zeph when she was just a 13 year old girl. At this age she had to leave her school in grade seventh, because her teacher humiliated her for being sitting on the teacher’s chair one day. From then she decided that she will never go to that school again but will make her own school where there will respect for the students. So she started teaching with another girl in the open air at her home’s courtyard on August 1, 1997. Later when she started teaching more girls she came to notice that girls’ lives are very difficult. They have no life of their own, they are considered men’s property, they have no right to education, to paid work, or to choose their own life partner. They are being killed for so called honor. They are mothers, sisters, wives and daughters, but they are not being considered as human beings. They have no recognition as their own individuals. With this realisation, Sister Zeph decided to focus on girls’ education. 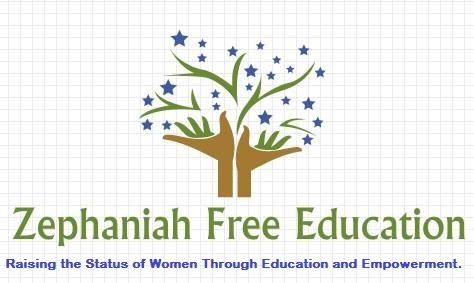 Until now, Zephaniah Free Education has taught over five hundred girls , and more than one hundred women have learnt skills such as stitching , bridal make up, party make up, hair dressing , embroidery in addition to getting standard education as well. Sister Zeph has been maintaining a full time job to meet the expenses of Zephaniah Free Education since when the age of 16, and along with this, she achieved two Master Degrees, one in Political Science and one in the History, through self-studying.